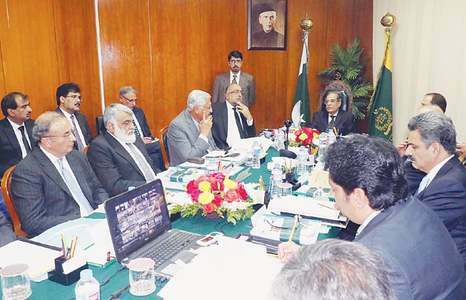 Reducing adjudication tiers, discouraging unnecessary adjournment requests and utilising forensic sciences for the expeditious disposal of backlog of cases were among several key recommendations made at the 8th Judicial Conference that concluded in Islamabad on Saturday. The final day of the two-day event saw five groups featuring judges from all over Pakistan partake in discussions — at the end of which, their recommendations were ratified as the Islamabad Declaration 2018. One of the groups outlined the strategy for delay reduction and expeditious disposal of backlog of cases. 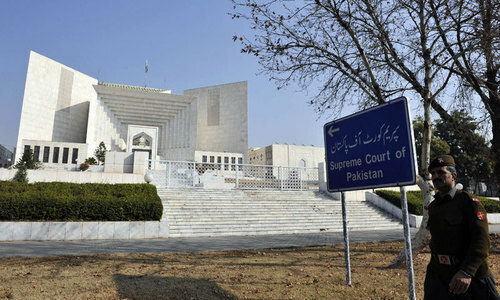 The Justice Azmat Saeed-chaired group suggested that the currently four-tiered adjudication system be shortened to just three. The group further said that unnecessary adjournments sought by counsel should be discouraged and only be allowed in exceptional circumstances. "It is of utmost importance that the communication between bar councils and bar associations is enhanced so that neither unnecessary adjournments are sought nor granted by the courts," they stated. "It is imperative that the use of Information Technology is implemented in different aspects of our justice system, in areas such as registration of electronic FIRs, electronic record of case documents, case scheduling and judgments," they added. Another group recommended improvements that can be made in the imparting of legal education while also pushing for uniform selection criteria for judicial officers in the country. An effective dispute resolution mechanism in the context of China Pakistan Economic Corridor was also discussed and proposed by a separate group. A number of recommendations regarding the revamping of the criminal justice system were also made, chiefly among which were specialisation and accountability of police, maintaining of crime statistics and development of standard operating procedures for dealing with terrorist attacks. Thank you all for giving up your weekly holidays to hasten the process of providing justice to the common people. It will be appreciated if you can work out a system to be followed by the magistrates and judges all over, permitting a set time limit for each stage of judging including sessions, high courts and supreme court. Also to consider is the back log of cases pending all over the country which have to be dealt with soon. Good move towards speedy, expeditious resolve to deal with court cases to reduce the burden on the poor! There is light at the end of tunnel. Our judiciary is the best. Let's keep the hope alive. If the judges can weed out the delayers and game players than millions of cases will be resolved.